Are you Ready for a Wholesome Apple Freebie? Hi everyone. I am reposting this wholesome digital scrapbooking freebie for you today… It’s back by popular demand!! If you missed this freebie before, here is your second chance to pick it up. 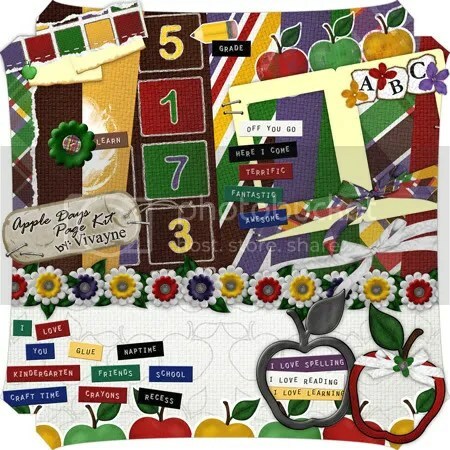 If you love apples like I do, please consider picking up this fun Apple Days page kit, on sale for a limited time at DigtialFreebies.com for 30% off! 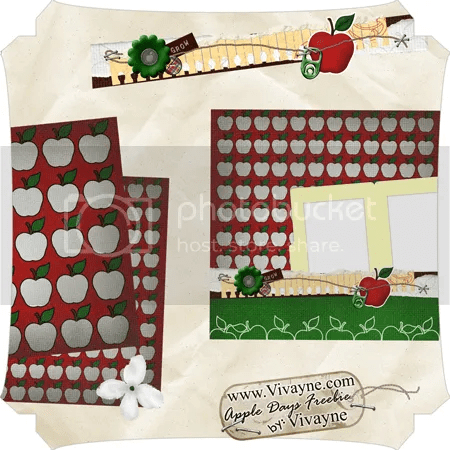 and… it coordinates with my Apple Days page kit (30% off) available at DigitalFreebies.com. p.s. The other free apple quick page will be posted soon by digitalfreebies.com, so keep your eyes peeled 🙂 or sign up for their newsletter! Very very cute…i especially love the elements on the string, cute idea. Thank you for this lovely apple-freebie! We have several apple-trees and I love to make apple-pie, apple-juice and so on… I’m always looking for nice apple-things to make tags etc. to go with the apple-pies I make for gifts. Very cute freebie too… Thanks for sharing!